Mobile, Alabama, Sept. 23, 2018—Now Hear This! The USS ALABAMA Battleship Commission is pleased to announce the appointment of Ms. Patti Culp to the Battleship Commission. Ms. Culp was appointed by Governor Kay Ivey in late August, filling the last seat on the 20 person commission. Culp is the President and CEO of the Alabama Travel Council, a position she has held since 1977. Her work in tourism is well-known both within the state of Alabama and outside of the state. 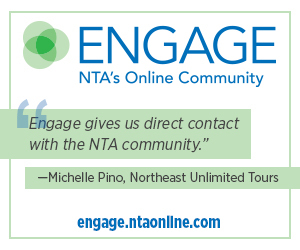 She has served on the board of directors and the executive committee for the National Tour Association and was named NTA Volunteer of the Year in 2016. She currently sits on the board of directors of the Alabama Restaurant & Hospitality Association and Southeast Tourism Society where she co-chairs the Congressional Summit in Washington, D.C. She is the 2014 Dorothy Hardman Spirit of STS Award Recipient. Culp was selected to represent Alabama to the first White House Conference on Travel and Tourism. Culp was presented with the Lifetime Achievement Award by Governor Ivey this August at the Alabama Governor’s Conference on Tourism held in Montgomery. “I am honored to serve as a Commissioner and will do my best to use my experience in the travel industry for the betterment of battleship USS ALABAMA and the park,” stated Culp. The USS ALABAMA Battleship Commission was formed by the Alabama Legislature on September 12, 1963. The purpose of the Commission is to oversee the management of Battleship Memorial Park. Commission members are appointed by the Governor of the State of Alabama for eight-year terms. For more information on USS ALABAMA Battleship Memorial Park, please visit our website at www.ussalabama.com.